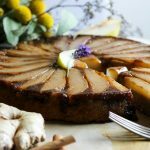 For many of us, upside down cakes are the epitome of pleasurable desserts: moistest of cakes, caramelized fruit and the option of whipped cream. This beautiful fall dessert is egg-free and dairy-free, and you’ll love making and using the caramel sauce — (just three ingredients and ten minutes total to make)! Enjoy making a beautiful Paleo and AIP dessert for yourself and for the ones you love. Each autumn we are given pears and apples from our neighbors and friends. Perhaps you have apples dropping in your yard or along the roads where you live? This year we were able to go to an apple pressing, too, to make cider. These sweet fruits help to usher in the new season with excitement and frugality (SO many apples). And toppings like caramel sauce get us ready for October, Halloween and true autumnal treats! 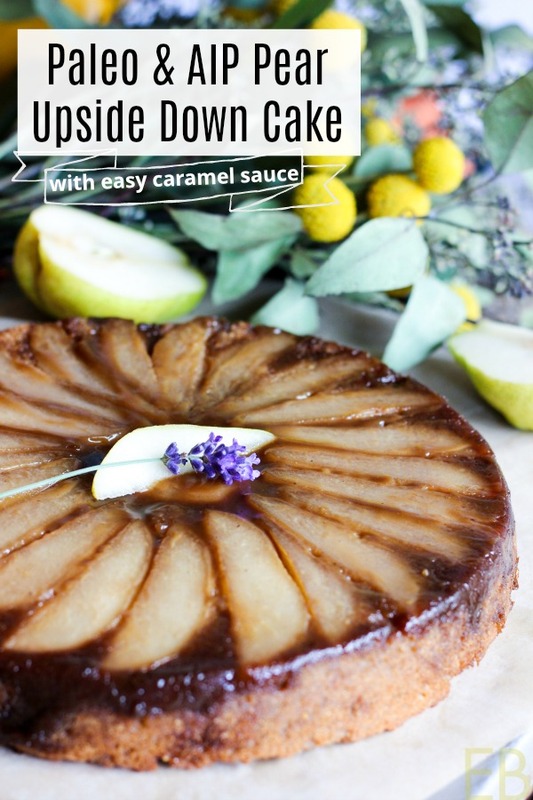 I brought this Paleo & AIP Pear Upside Down Cake with Easy Caramel Sauce to the apple pressing, happy to share a seasonal treat. I hope you’re taking lots of deep breaths of this fresh fall air, and have a bit of time to make this special dessert. You might even have a loved one who isn’t Paleo or AIP but who needs an egg-free or dairy-free dessert. May this pear treat add to your autumnal pleasures. Place coconut cream and coconut sugar in small saucepan. Turn heat to medium and bring to simmer, stirring to dissolve sugar. Once simmering, reduce heat to very low and maintain simmer for 5 minutes. Stir occasionally. Turn off heat and stir in sea salt. Set aside. In large bowl stir together wet cake ingredients and sugar: applesauce, warm coconut butter, warm water, fat, apple cider vinegar and coconut sugar. In smaller bowl sift together dry ingredients: cassava flour, coconut flour, gelatin, baking soda, ginger, cinnamon and sea salt. Pour dry ingredients into wet ingredients and fold together until well mixed, without over-mixing. Pour caramel sauce somewhat evenly over pears in cake pan. (Don't worry about spreading it evenly.) Scoop out batter and spread it evenly over the caramel and pears in the pan. Bake in preheated oven 30 minutes. Remove to cooling rack for 10 minutes. (Now: We unmold the cake while it's still warm so the caramel top and pears come away from the pan easily.) Carefully flip cake over onto plate or serving platter. (Do this by placing plate on top of pan. Hold both pan and plate together tightly and quickly flip.) Lift off cake pan. If any pears are displaced, simply put them back into place. Allow cake to cool completely. Serve alone or embellish with coconut whipped cream. Find the best, sustainable gelatin HERE. Use code BEAUTIFUL10 at checkout for 10% off your entire order. I recommend Otto's Cassava Flour for the best quality. Find it HERE. Find classic 9-Inch round cake pans HERE. 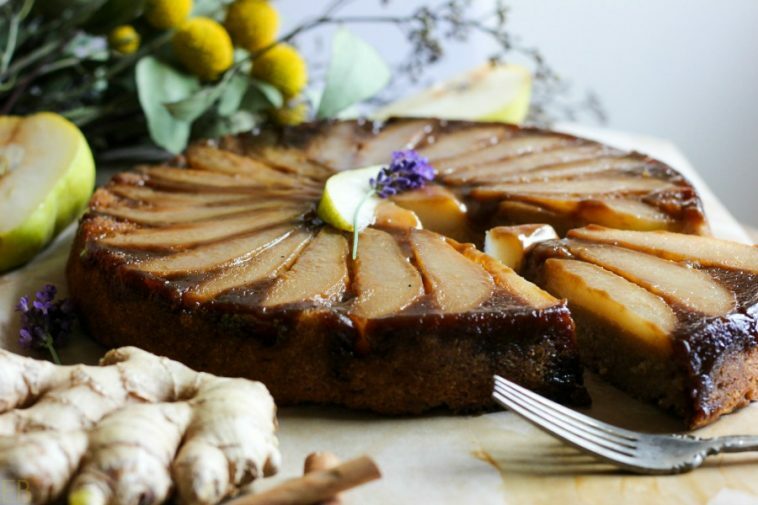 What’s yummier than pears and caramel and cake, yes? Oh holy cow!! This looks amazing! YUM!!! Thank you for another egg-free recipe! This is such a special upside down cake. Love that caramel sauce over the pears. Oh Megan! My girls will get such a kick out of this presentation! I am definitely make this! Thank you! Thank you Renee! So sweet. I’m happy to imagine their delight! 🙂 Enjoy! This recipe looks very inviting! Can you please advise what purpose the gelatin is serving? Can it be left out or is there an acceptable substitution? Thanks. Hi Cathy, thanks for your question. Sure, the gelatin replaces eggs in this recipe, making it “okay” for those on an AIP or egg-free diet. My guess is you can pull it out and sub with one egg, but I haven’t done it to be sure. 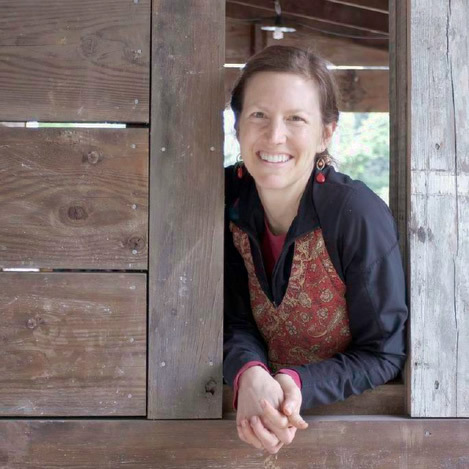 Hi Jillian and welcome! 🙂 I like your question because it’s the first time I’ve gotten that one! LOL. Folks always want the opposite: how to replace eggs. Well, I haven’t made this cake with eggs, so I can’t tell you for sure. But omitting the gelatin and adding in just one egg would be my first attempt. Can I use peptide Collagen? Seriously yum! This looks divine! Oh my…this is lovely and would make such an awesome addition to a holiday dessert table! I just made this and it turned out like a pudding. I allready thought the batter was too moist so i left out half of the water but it was still too moist. I think there is something wrong with the ratios. Hi Janine, I’m so sorry for your experience. We make this recipe regularly, using different seasonal fruits, but with pears the most often. I don’t recommend taking out any ingredient, but it’s possible you made some other omission or change without realizing it? The recipe is accurate; having made it so often, I can say that. Is there any ingredient you substituted? Egg-free recipes need to be followed just-so without any changes. Can i replace coconut butter with coconut oil ? Hi Megi, no, sorry. The ingredients you mention play different roles. The butter actually functions more as a flour in this recipe.